<a href=”http://extension.usu.edu/foodsense/”>Utah State University Extension</a> will offer two classes for Spanish speakers in May. 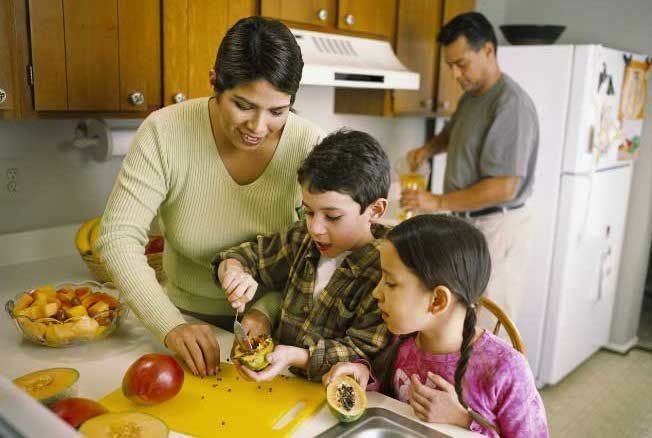 The first course, “Creaciones en la Cocina,” is a Latino adaptation of USU Extension’s popular <a href=”http://extension.usu.edu/foodsense/”>Food Sense</a> program. The second class, “Fortaleciendo tu Futuro Financiero,Clases de Educación Financiera,” teaches principles of financial literacy. Program Coordinator Paloma Jensen said both classes are free of charge and open to the public, with free childcare available. Jensen enjoys helping Cache Valley’s Spanish-speaking community access these important resources. <strong>“Creaciones en la Cocina”</strong> begins on Wednesday, May 3, at 5:30 p.m. The 4-part series will also be held on May 10, 17, and 24. Instructors of the course are Celina Wille and Jensen. “Creaciones en la Cocina” will take place at St. Thomas Aquinas Catholic Church, located at 725 S. 250 E. in Hyde Park. <strong>“Fortaleciendo tu Futuro Financiero”</strong> is a three-part course which begins on Tuesday, May 9, and also takes place on May 16, and May 23. A family dinner is served free of charge during the first 30 minutes of class, after which children are excused to the nursery while their parents learn more about managing their finances from instructor Jorge Manan. “Fortaleciendo tu Futuro Financiero” takes place at Centro de la Familia, located at 316 N Gateway Drive in Providence. For more information about the classes and/or to register, call 435-994-4896.